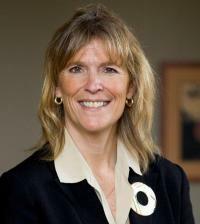 Cathy S. Dove is the 10th president of Paul Smith’s College. She began serving Sept. 1, 2014. Welcome to Paul Smith’s College. We are the only bachelor’s degree-granting, private college in the Adirondacks, and we have been long recognized as an innovative force in education. Our commitment to experiential, hands-on learning has guided us for decades. It means our students get a collegiate experience unlike any other, working with outstanding faculty in an incredible community of future leaders. That’s why 90 percent of our students find a job or go to grad school within six months of graduation. Our spectacular campus, including the 14,000 acres of lakes and forested lands we own and manage, provides a natural laboratory for students, faculty and staff to participate in the living-learning model for forestry, recreation, environmental science, ecology, biology and natural resources management. The college is known just as well for its hospitality and culinary arts programs and offers on-site learning laboratories, including The Palm at Paul Smith’s College – a training restaurant modeled after the famed Palm Restaurants – and the St. Regis Café. We’re located in the heart of the Adirondacks, close to Lake Placid and Saranac Lake, N.Y, and our buildings are designed to support our state-of-the-art curriculum. The Joan Weill Adirondack Library and the Joan Weill Student Center are the heart and soul of the campus community. These buildings, together with great academic and residential facilities, offer students, faculty, staff and the community a place to meet and learn. Thanks for taking the time to read a little more about us online. Don’t forget to follow us on Twitter and like us on Facebook. You can also reach me by email, president@paulsmiths.edu, or follow me on Twitter. Congrats to the talented and hardworking students who deserve recognition for outstanding scholarship! Prior to joining Paul Smith’s, Cathy served as the vice president of Cornell NYC Tech in New York City. She has a doctorate in higher education management from the University of Pennsylvania, an MBA from Cornell and a bachelor’s degree from Georgetown University. As vice president of Cornell Tech, she led the ambitious effort to build a new, 2.1-million-square-foot campus for applied sciences on Roosevelt Island in NYC. Her responsibilities included all administrative, operational, outreach, capital planning and construction functions. financial analyst and marketing planner for Eli Lilly and Co.
manager of engineering systems and development for Anaren Inc.